After seeing my life Burrowing Owls in San Bernardino I still had until 5 PM when I was supposed to pick my brother-in-law up at work. That meant that I had about six hours of birding time ahead of me and I was determined to make the most of it! What better place than the San Jacinto Valley, an area loaded with a variety of birds, so much so that their Christmas Bird Count, which had been conducted less than a week before my visit, regularly is one of the very best non-coastal counts in the country? 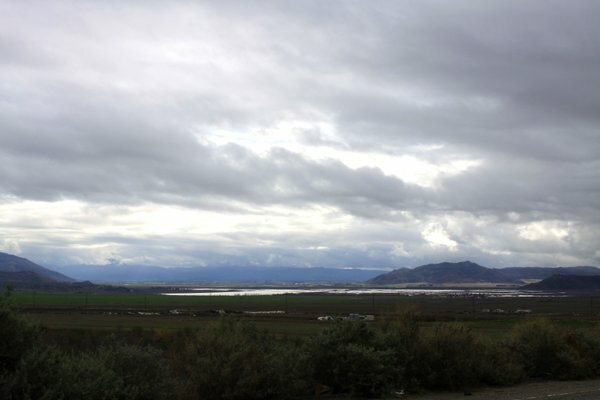 The San Jacinto Valley is in western Riverside County, and, in addition to wetlands, seasonal and otherwise, it has a wide variety of agricultural fields, livestock concentrations, and good habitat to draw birds to it. As seems true for so many southern California birding hotspots even (or especially?) in winter the species diversity is staggering for an eastern birder. I hoped to see quite a few birds that I had not managed to spot since my last visit to southern California over the holidays in 2007-2008 and maybe, with luck, pick up a bird that was altogether new to me. I exited the Moreno Valley Freeway in late morning and quickly found myself exploring dirt roads, seeing species like Western Meadowlarks, Horned Larks, and Savannah Sparrows. 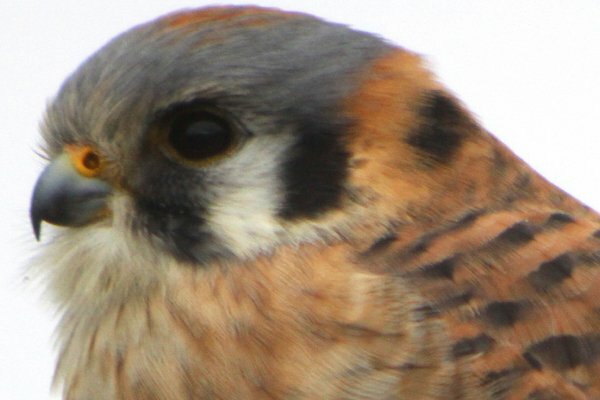 The valley is known for wintering raptors and I was not disappointed, quickly finding an extremely cooperative American Kestrel. 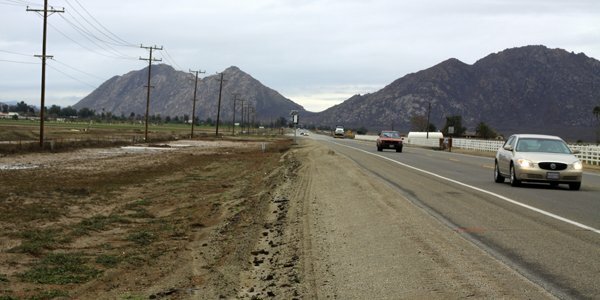 The wet winter that southern California has experienced means that Mystic Lake, an ephemeral lake just east of the San Jacinto Wildlife Area that waxes and wanes depending on the amount of water that has fallen from the sky of late, was on the large side (you can see Mystic Lake in the first picture in this post). In fact, Bridge Street, a road that goes through some good habitat and that I was planning to use as a shortcut, was closed because of flooding. When I pulled over at the end of Bridge Street to figure out a new route I spotted some birds a bit down the road and decided I wanted to see them so I drove around the barriers and went and checked out more meadowlarks, sparrows, and larks. Then a big truck and a car went past me and I decided I would venture further down Bridge Street because come hell or high water I wanted to be birding! Fortunately, the high water had receded somewhat and Bridge Street was passable, but just (Andrew, if you are reading this your truck performs admirably in relatively deep water). After clearing the worst of it I stopped to pick through another flock of larks, hoping for longspurs, when they all took wing. 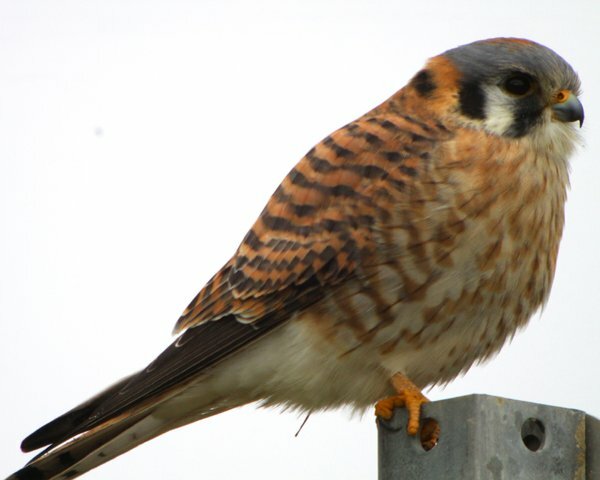 A quick scan found the cause: a Prairie Falcon! That was one of the birds I had really wanted to see! Then I reached a field loaded with blackbirds and sheep. I got the scope out and started figuring out what blackbirds were present. The male Yellow-headed Blackbirds were easiest, but I gradually added more species, with Red-winged Blackbird and Brewer’s Blackbird seeming to be one and two in terms of abundance, and a single Tricolored Blackbird being the highlight (there may have been more but I couldn’t pick any out). Oddly missing, or at least missed by me, were Brown-headed Cowbirds. You can barely make out a Yellow-headed Blackbird near the left side in the image above but there are several in the image below. Also, the sheep did not seem to mind their passengers. 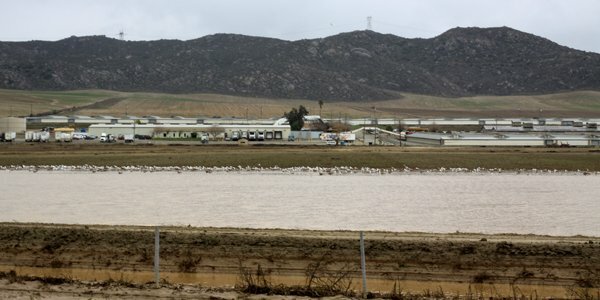 A scan at the dairy farm just up the road did not net any other species, and I turned onto the Ramona Expressway, pointed the truck west, and started the short trip to the San Jacinto Wildlife Area…but, wait, what are all of those gulls doing there? I made a quick U-turn, pulled over, and savored the sight of hundreds of gulls outside a chicken farm (if farm is really the term that should be used for the industrial method of producing chicken meat). The road was busy and the traffic moved fast but the gulls were diverse and bewildering to an east coast birder. I picked through them methodically, identifying California Gulls, Ring-billed Gulls, Herring Gulls, and, wait, yes, a Glaucous-winged Gull! If you are a real masochist, you have probably already started picking through the rest of the gulls in that image, trying to figure out what they are. I was doing the same thing, but in real life and with many more birds, while cars buzzed by on the expressway and unsettling odors reached my nose. That bird and my identification of it is, so far, my birding highlight of the year. There was more to come that day, but you will need to wait for my next blog post to see what birds I saw later. 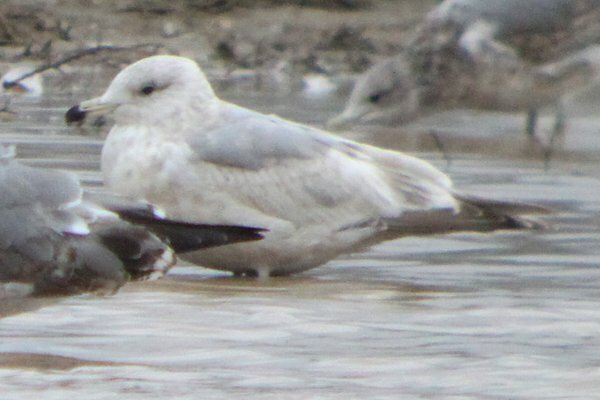 I’ll wrap this post up by pointing out that when I entered my gull sightings into eBird the reviewer for Riverside County contacted me and asked for evidence of both the Glaucous-winged Gull and the Thayer’s Gull. Gulp! I sent him an image with both and he agreed with my identifications…sweet, sweet, validation. *Well, by using his field guide. After all, Mr. Sibley was not on the side of the road with me. And he won’t take my calls since that “refrigerator running” prank call a couple years back. Having an immature Thayer’s as your bird highlight of the year after such an amazing start clearly singles you out as a bird nerd extraordinaire. Congrats – I guess! Thayer’s is a tough gull to pick out. Congratulations! @Jochen: I wear that title as a badge of honor. @John: Thanks…I am still happy about it. Oh Corey (wipes tears of pride from eyes), that’s what I would do.